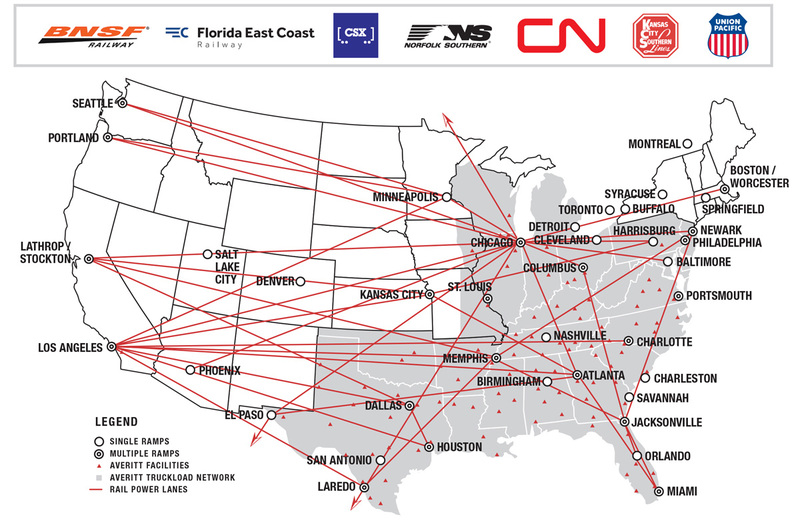 Shipments that travel long distances can often benefit from the cost-efficiency of intermodal freight transportation. 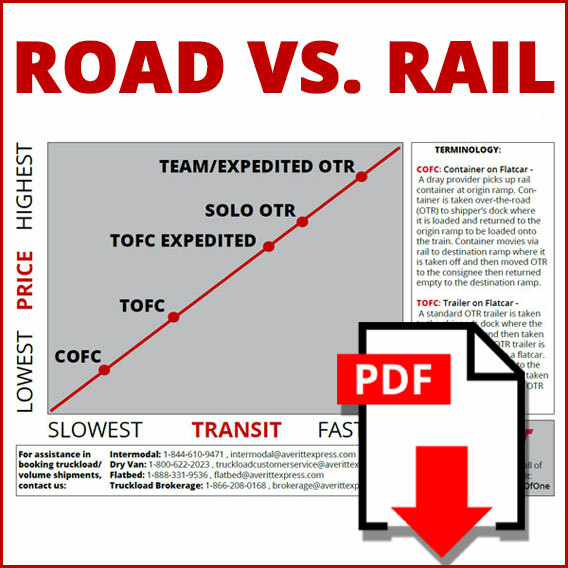 In many cases, the transit times of shipping by rail compared to traditional truckload or less-than-truckload services are also comparable. When shippers look to tighten their transportation budgets and optimize their supply chains, Averitt can provide a variety of intermodal freight transportation solutions. For many customers, our trailer on flatcar (TOFC) service can help balance supply chain costs without having to compromise on transit times. Cost and Fuel Efficiency: Due to the fuel efficiency of intermodal freight transportation, the cost of shipping freight via trailer on flatcar or container on flatcar (COFC) services over long distances can lead to substantial savings both for your wallet and the environment. Scalable Capacity: Shipping by rail can help you avoid the capacity crunches that LTL and TL services can experience. One locomotive can pull hundreds of flatcars and boxcars compared to one trailer pulled by a truck. This makes it easier to secure additional space when needed. Transit Times: Shipments sent via intermodal TOFC don't encounter the same delays that trucks do, including traffic, bad weather, construction, and weighing stations. Streamlined Delivery and Distribution: With your freight already prepared for delivery and loaded inside Averitt equipment, our drivers can quickly pick up the trailer at a railyard and deliver the shipment to its destination. There are many good reasons to take advantage of intermodal freight transportation, but each shipper has different needs that may or may not be a good fit for trailer on flatcar service. Our transportation and intermodal experts will work closely with you to determine what the most cost-efficient and timely service or combination of services will be for your business.